With the U.S. set to become officially eligible to withdraw from the Paris Climate Accords on November 4th 2020, the day after the 2020 presidential election, it’s important to look back and analyze whether the emissions reduction targets put forth in the agreement are truly progressive enough to reach the agreed-upon climate change mitigation goals. Recent studies published by the United Nations Environmental Programme (UNEP) have indicated that this is not the case, and teams of scientists around the world have warned that current emissions guidelines are substantially insufficient and will not be able to satisfy the climate change goals set forth. Ratified on November 4th 2016, the Paris Climate Accords set the specific goal of keeping global warming well below 2°C compared to preindustrial levels. At the foundation of the agreement are the nationally determined contributions (NDCs), which act as binding commitments made by each signatory to reduce emissions of greenhouse gases by an agreed-upon margin based on a country’s own capabilities, economic priorities, and political environment. While these NDCs have been able to effectively incentivize action by both the private and public sector by subsidizing the use of renewable energy sources, a 2017 report on global emissions by the UNEP warns that the NDCs signed onto are not nearly ambitious enough to achieve the climate change goals set forth in Paris. If each signatory were to achieve the emissions reductions goals outlined in their NDCs, only 33 percent of the world emissions reduction necessary to achieve sub-2°C warming would be met, resulting in a large and substantial emissions gap. With NDC renegotiations coming up in 2020, it is imperative that new and more ambitious pledges are made, as missing the 2020 option of revising NDCs would make closing the emissions gap nearly impossible. 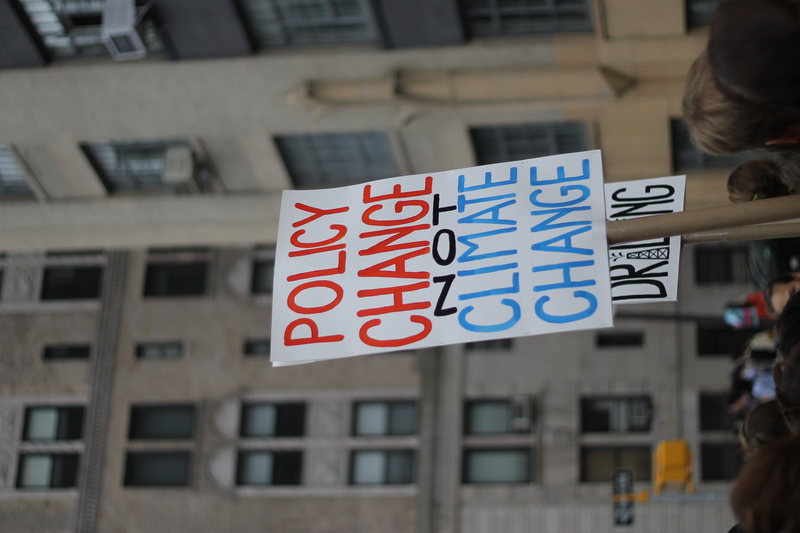 A protestor demands policy action at the 2017 People’s Climate March in NYC. With the deadline to renegotiate NDCs fast approaching, the UNEP has offered a set of policy recommendations to augment existing NDCs and keep climate change on a 2°C warming pathway. One proposed policy instrument is to incorporate carbon catching technology (CCT) guidelines into NDCs to provide an additional mitigation element to the already existing emissions reduction strategies. Often, these CCTs take the form of land-based removal options such as reforestation and wetland reconstruction, which allow for natural biomass to extract carbon dioxide from the atmosphere. These forms of CCTs are able to develop from the already massive and extensive agricultural knowledge base and do not require the time and costs associated with developing more technologically advanced CCTs such as direct air capture devices. The 2017 UNEP report also brings attention to the large portion of emissions generated by coal-fired plants. With an estimated 6,683 plants in operation, a rapid and systematic phase-out of coal would play an instrumental role in maintaining the Paris Accord’s climate change mitigation goals. However, it is essential that any policy put forth to accelerate the phase-out of coal power also considers the economic impacts on both workers and firms. One policy proposal to compensate displaced workers has been to provide them explicit public support in the form of retraining programs, hefty housing vouchers, and unemployment insurance. While this may be feasible in OECD countries, it is expected to be much more challenging in developing countries that lack strong social institutions and resources, and would require a significant amount of international financing and support. Public policymakers have also proposed implementing market-based instruments to incentivize the transition to green power and phase out already existing coal-power assets. The most popular of these instruments has been the carbon tax, which prices the global warming impacts caused by carbon-emitting ventures (such as with coal-fired power generation and deep sea drilling) and passes on these costs to the carbon-emitting firm. This has the effect of incentivizing firms to use all available means to reduce emissions to protect their bottom line. Emissions reduction technologies begin to act as cost-saving mechanisms for the firm and allow for greater participation by the private sector in reducing carbon emissions. Though 13 percent of global emissions are already covered by carbon taxes, a larger scale introduction coupled with closer international coordination on carbon pricing will undoubtedly have significant effects on bringing emissions levels closer to those laid out in the climate accords. This type of carbon taxation also has the added benefit of imposing larger disincentive effects on coal use, as it is the most emission-intensive form of energy. To further encourage a rapid phase-out of coal, it has been proposed that revenues generated from the carbon tax should be used to compensate the losses incurred by displaced coal owners and workers, as this would make the policy much more politically viable than a system absent of compensation. China: A Leader in Environmental Reform? With the Trump administration rolling back environmental regulations and emissions reduction policies, China has in many ways taken up the role of implementing some of the most progressive environmental protection policies. As the world’s number one carbon-emitter, any policies implemented by the Chinese Communist Party (CCP) will undoubtedly have a substantial impact on the Paris Agreement’s success. Current analysis of Chinese emissions data has indicated that not only will China be able to meet its NDC targets, but will do so earlier than previously indicated and at a lower emissions level than outlined in the NDC. In 2016, the CCP issued its National Strategy on Energy Production and Consumption Revolution for 2016-2030, and highlighted goals related to curbing carbon emissions and transitioning to more renewable energy sources. The document recalls China’s climate change commitments laid out in their NDC and estimates that China will reach its carbon emissions peak by the early 2020s in the best case scenario, much earlier than the 2030 deadline outlined in their NDC. Additionally, the Chinese economy has seen energy intensity related to commercial ventures fall 45 percent since 2005, a phenomenon that resulted in the country meeting its 2009 Copenhagen Climate Summit pledge three years early. Additionally, the country has already seen coal consumption peak in 2013, almost 7 years earlier than expected. This coal peak, in particular, has been proven to have substantial effects in reducing emissions levels, as coal is one of the most energy intensive fuel sources currently used. Much of the CCP’s success in meeting and exceeding nearly all of its climate change commitments has been attributed to the ability of central government officials to quickly and effectively implement policies without the need for long-winded legislative proceedings. The CCP has routinely shut down state-owned firms which were determined to be detrimental towards achieving emissions reductions, imposed driving restrictions, and has reduced or eliminated nearly all “dirty energy” subsidies. Additionally, the CCP also moved to raise domestic energy and gasoline prices to levels similar to OECD countries despite the country’s lower per capita income. It seems apparent that the CCP considers climate change mitigation to be central to its future economic development, and is moving to become one of the world’s largest innovators of clean energy solutions. Coinciding with China’s increasingly proactive role in pushing for climate change mitigation has been the intentional and systematic rollback of climate change policies by the Trump Administration. In October 2017, the U.S. Environmental Protection Agency (EPA) led by Scott Pruitt moved to repeal the Clean Power Plan, which would have set legal obligations for states to meet CO2 emissions standards set in the US’s NDC. In April 2018, the EPA also moved to increase allowable green house gas emission levels for cars and trucks, and in January 2018, the Trump administration imposed a 30 percent tariff on solar cells. 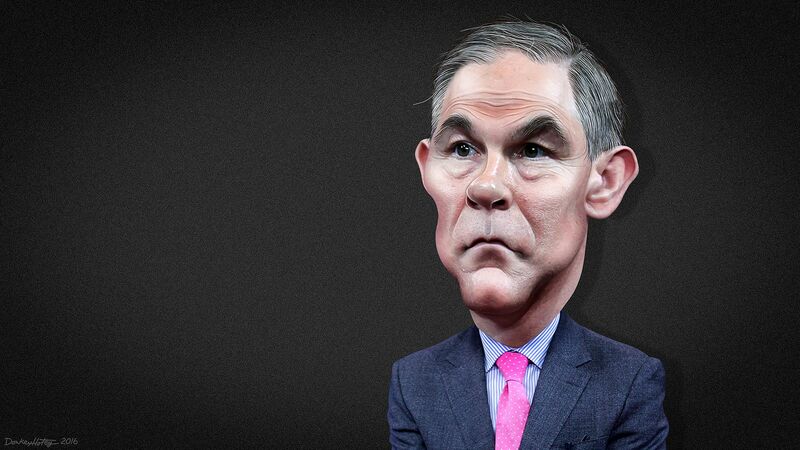 While head of the EPA, Scott Pruitt worked to systematically rollback Obama-era emissions regulations. While the Trump administration’s environmental rollbacks have been a source of genuine concern for climate change experts, his actions have arguably sparked a dramatic increase in climate change activism in traditionally left-leaning states. In 2017, 20 state governments with a combined population of 157,000,000 formed the U.S. Climate Alliance (USCA), a bipartisan coalition of governors committed to reducing emissions levels to be consistent with or in excess of the terms laid out in the United States’ NDC. With stalwart liberal states like New York and California taking the climate change mitigation mantle, the policies and actions of state and local level governments will undoubtedly have a strong influence on U.S. climate change policy for the foreseeable future. Ultimately, the success of the Paris Climate Accords will rest on the international cooperation of its signatories and the development of more ambitious and comprehensive NDCs. Despite the growing populist rhetoric around the world, there has been a substantial increase in the prevalence of carbon pricing policies, carbon catching technologies, and renewable energy sources. However, with the U.S. being one of the largest emitters of greenhouse gases in the world, the viability of any new NDCs or other policy measures will ultimately rest on the U.S.’s decision to leave or remain in the agreement. With this decision falling almost perfectly in line with the 2020 presidential election, an election that has already seen a vast number of progressive democrats making the decision to run, this agreement will be a divisive and hotly debated issue this coming election cycle. Nearly 60 percent of Americans are already either alarmed or concerned about the country’s current climate situation, and these views could play a huge role in determining the country’s future role in international climate change action.